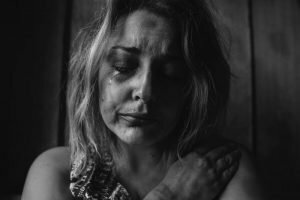 Suicidal thoughts are closely connected to emotional disorders and substance abuse. For some, the three disorders work like a vicious cycle where one feeds the negative influence of another in an attempt to drag you down further into irreparable despair. For this reason, it is paramount that treatment is planned and targeted at addressing emotional wellness as well as any substance abuse issues that may be present. Talking about killing oneself. It’s important to take this seriously. Even when cloaked as sarcasm or joke it can be a literal cry out for help. Anti-social behavior. No longer associating with friends, or not talking in groups are both indications of detachment and disinterest that can lead to suicide. Feeling hopeless. Despair is a strong motivator for suicidal thought. When you feel that there is no relief, you can spiral down to destruction as the only escape. Feeling extreme rage or the need to seek revenge. Conversely, extreme emotions of anger can also indicate suicidal ideation. Risky behavior, such as engaging in harmful acts or frequenting dangerous locations. Exhibiting deep despair, such as making comments about how bad the world is, or how much better others would be if you were no longer their burden. Either neglecting sleep or sleeping too much. Confused thinking or problems understanding things. Difficulties in perceiving reality, such as hallucinations or odd feelings of euphoria. And if mental health disorders and substance abuse interact, the risk of suicide skyrockets. Research reveals a strong link between substance abuse and anxiety and depression. This is easy to understand as the anxiety and depression are perceived as a problem that needs to be relieved. An afflicted is unlikely to immediately recognize this as a mental health problem or seek treatment, so self-medication is pursued through substance abuse. Getting high or relieving physical or emotional pain is seen as the only way to stop the mental anguish. Since substance abuse does not cure the mental disorder, but rather amplifies the problems, you enter a free fall into deeper darker despair. Unchecked, suicidal thoughts begin to look like the only relief. But the treatment of both the mental health issues and substance abuse is available and highly effective.